Stable and steady wins the race with the Men's MW928HB3 Velcro. Stable and steady wins the race. 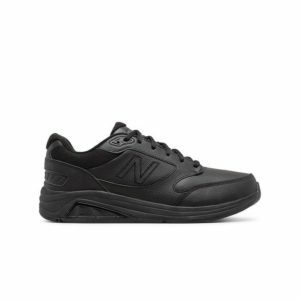 The New Balance Men’s MW928HB3 Velcro Black walking shoe features motion control and ROLLBAR® stability technologies and ABZORB® cushioning for comfort from morning till midnight. Developed for all-day comfort, the New Balance 928 walking shoe offers industry-leading motion control and superior stability thanks to our ROLLBAR® and Walking Strike Path technologies. Add to that ABZORB® midfoot cushioning, a seamless Phantom Liner and an odor-resistant treatment and you’ve got a shoe that can take you from 9 to 5 to whenever. The next level in walking comfort can be found in the New Balance MW847. 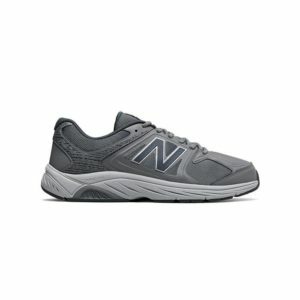 The New Balance Mens MW928BK3 is a control walking shoe developed for all-day comfort. A great men's shoe for all day comfort. Wheather at work, visiting friends or on that nightly walk through your neighborhood, you will find the GAV10 to be the perfect companion.